The real evidence of the good work done at Hanna is in the stories of the lives we’ve changed. 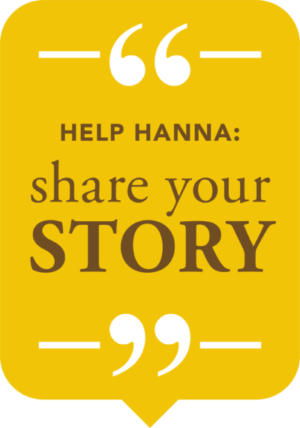 Do you have a story about your time, or the time of a loved one, spent at Hanna? We want to hear all about ! Please fill out the form below.